The film tells the story of Boston heiress Charlotte Vale (in the beginning unglamorously portrayed by Bette Davis), a sheltered, frumpy and middle-aged neurotic who is driven to a nervous breakdown by her domineering mother (Gladys Cooper), but with the help of a soft-spoken idealized therapist (Claude Rains), she is transformed into a modern, secure and attractive young woman. During an ocean voyage to South America she meets a suave man, Jerry Durrance (Paul Henreid), and blooms as a woman. Durrance, unhappily married to a woman he dares not to hurt, has a young daughter Tina (played by the then 12-year old promising juvenile actress Janis Wilson in an uncredited role), who is an emotionally depressed child, victimized by the insecurity of their unsettled home. Ultimately, Charlotte Vale and Jerry Durrance end up with a platonic relationship in which she keeps Tina who in the meantime is in the process of recovering, while Henreid stays with his unwanted wife. “Now, Voyager” is an unabashed first-rate soap opera – or a woman’s picture, if you wish – and as such it’s one of the very best of its kind, thanks to Warner Bros. expertise, while the powerful drama is backed by Max Steiner’s lush and Academy Award-winning musical score which is almost as much a part of the film as the actors. Bette Davis, one of Hollywood’s queens in the 1940s, made the film’s heroine a touching, dignified and truly believable woman. Miss Davis was not the first choice to play the role of Charlotte Vale, though. Irene Dunne, along with Charles Boyer, her co-star in “Love Affair” (1939), were considered to be perfect for the leading roles. Producer Hal B. Wallis also offered the female lead to Norma Shearer and although she was fond of it, she had already made up her mind to retire from the screen after George Cukor’s “Her Cardboard Lover” (1942), due to her eye problems. When Irene Dunne heard that the script had also been discussed with Norma Shearer, she declined as well, fearing that both actresses were played against each other. Then Ginger Rogers was offered the part. She liked it, but weeks passed by for her to reply, and even after Wallis sent her a wire while she was on her ranch on the Rogue River, she did not respond, so finally the part went to Bette Davis who was eager to play it. 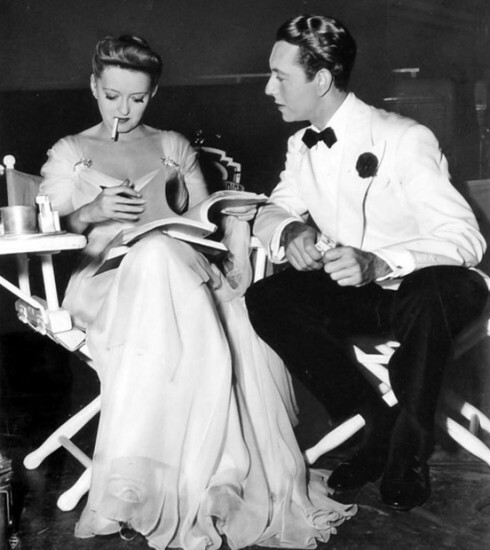 One of the most famous and landmark scenes of the film is when Paul Henreid lights two cigarettes simultaneously and gallantly hands one of the cigarettes to Bette Davis, thereby starting a new custom (in an era when people obviously weren’t aware of the danger of smoking). 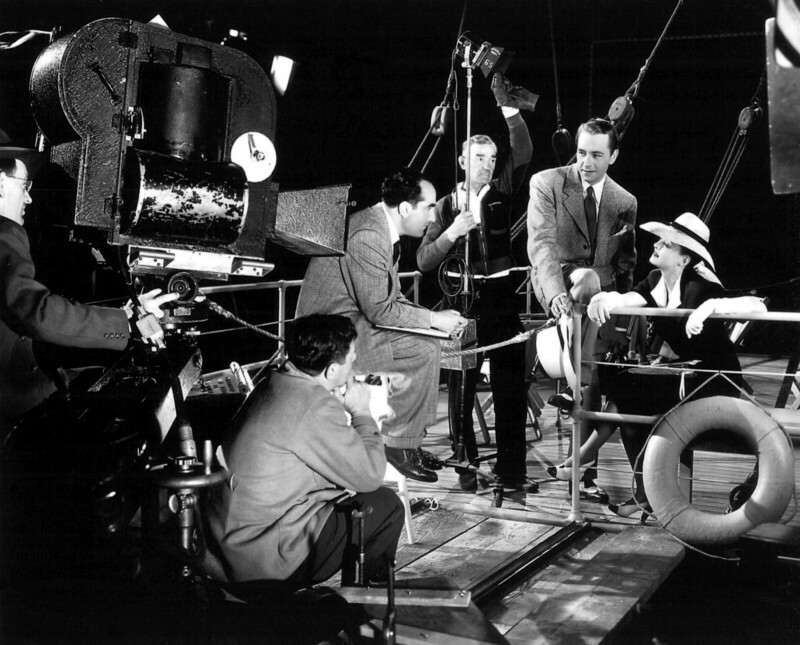 The film became highly successful: “Now, Voyager” was Warner Bros. fourth biggest grossing film of 1942. 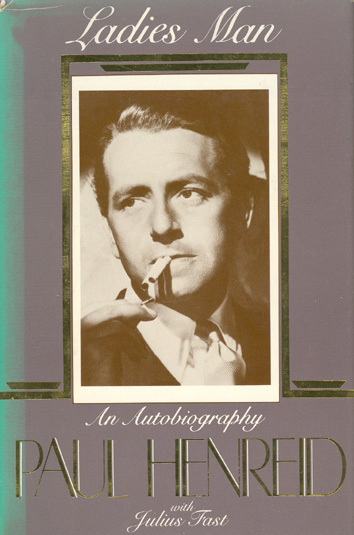 In his autobiography ‘Ladies Man’ (1984), Paul Henreid remembers Bette Davis as ‘a solid master of her craft’: “I found her a delight to work with, and we got along famously. In fact, a very close friendship started between us, and she remained a dear, close friend – and always a very decent human being.” The atmosphere on the set was amiable and supportive, although Miss Davis did have problems with her co-star Bonita Granville (who played the part of Charlotte’s young niece June Vale). “She was bitchy in the film and off. I don’t remember the details, but she struck me as flighty and gossipy,” she told Boze Hadleigh in his interview book ‘Bette Davis Speaks’ (1996). Principal photography of “Now, Voyager” began on the Warner lot on April 7, 1942, and ended on June 23, with retakes on July 3. The film was released in the US on October 31, 1942. “Casablanca”, another Hal B. Wallis production, also starring Paul Henreid and Claude Rains (a frequent performer in Wallis’s pictures), was released a few months later on January 23, 1943, and was almost shot simultaneously at Warner Bros., from May 25 until August 3. Over the years, “Casablanca” gained a more popular following than “Now, Voyager” did; in 1998 a novel entitled ‘As Times Goes By’, written by Michael Walsh for Warner Books, follows the characters of Rick, Ilsa, Victor (Paul Henreid), Sam and Louis (Claude Rains) after they left Casablanca. 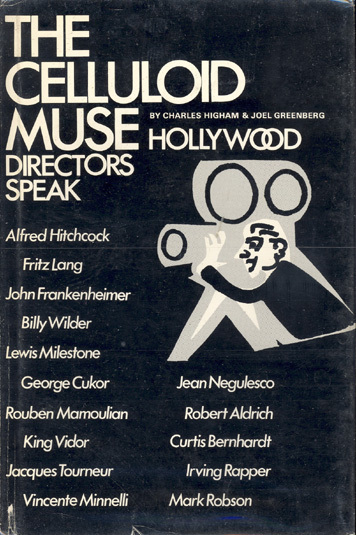 When originally scheduled to direct “Now, Voyager”, filmmaker Edmund Goulding wrote a treatment for the film, but he fell ill and was unable to direct the film. Michael Curtiz then was assigned as director, as soon as he had finished shooting another Wallis production called “Yankee Doodle Dandy” (1942) with James Cagney, but from the very start, it became clear that Curtiz and Bette Davis couldn’t get along. Finally, producer Hal B. Wallis decided to go with a new director, London-born Irving Rapper. “He was a pleasant, amusing Englishman. 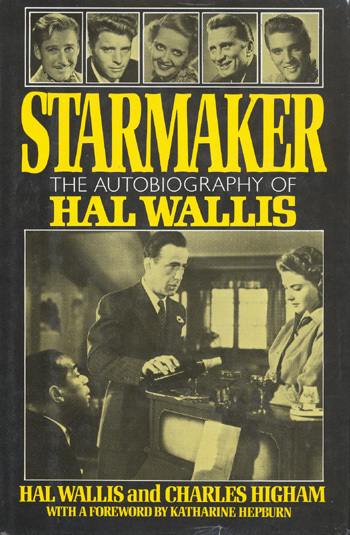 He liked Bette and she liked him,” Wallis recalled in ‘Starmaker’, his 1989 mémoires. Irving Rapper was a vocal coach, dialogue director and assistant director in the 1930s who, prior to “Now, Voyager”, had directed only three features, including “One Foot in Heaven” (1941) starring Fredric March and Martha Scott, and “The Gay Sisters” (1942) with Barbara Stanwyck. In the end, just as Bette Davis, he was not the first choice by all means, but he turned out to be the right one. 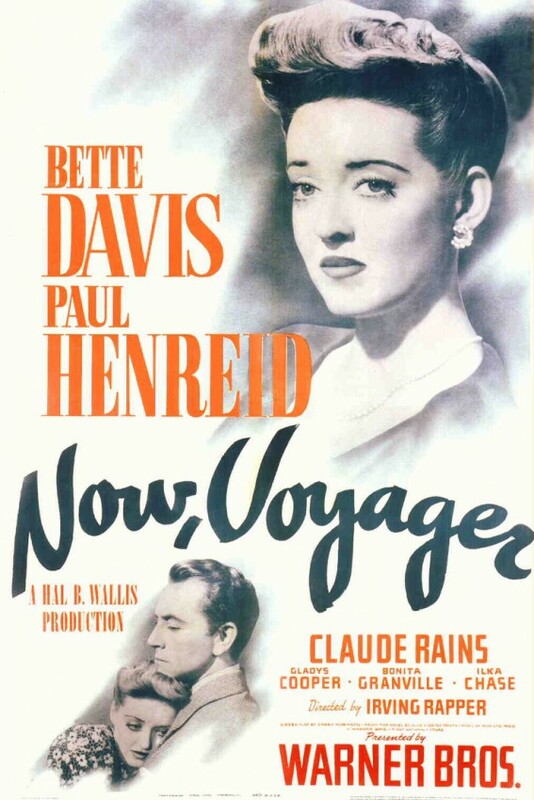 Four years later, Irving Rapper and his three leading actors from “Now, Voyager” – Bette Davis, Paul Henreid and Claude Rains (Davis’ favorite co-star) – were reunited with the drama “Deception”, also made at Warner Bros. (this one without Hal B. Wallis), and in 1964, Paul Henreid directed Bette Davis (playing twin sisters) in the crime drama “Dead Ringer”, with his daughter Monika Henreid playing a supporting role. Irving Rapper and Bette Davis later worked together again in “The Corn Is Green” and “Another Man’s Posion’ (1951). “Irving has directed some of my best pictures,” she said in later interviews. Woman’s pictures such as “Now, Voyager” were a popular genre in the 1930s and 1940s. The studios had several powerful leading ladies under contract, including Barbara Stanwyck (“Stella Dallas”, 1937, based on Olive Higgins Prouty 1923 novel, who also wrote the novel “Now, Voyager” in 1941), Greta Garbo (several pictures, such as “Anna Karenina”, 1935, and “Camille”, 1937), Joan Crawford (“Mildred Pierce”, 1945), and – of course – Bette Davis. Up until today, the topic of woman’s pictures is still explored by scholars: do they emphasize feminism, are they (anti-)feminist or liberating? In most films, the focus was on independent women who made their own choices, instead of them circling like satellites around their leading men. That particular approach made so many films in this genre very worthwhile, and it’s presumably one of the reasons why “Now, Voyager” still looks as fresh and original as the day when it was first released. Not dated at all, but standing the test of time all the way, more than seven decades later. That’s an incredible achievement for any film, also considering that we’re talking about an art form which has undergone so many changes since then. Posted in Film, Film history and tagged Academy Award, AFI, American Film Institute, Anna Karenina, Barbara Stanwyck, Bette Davis, Bonita Granville, Boze Hadleigh, Bruce Bennett, Camille, Casablanca, Charles Higham, Claude Rains, David Brian, Dead Ringer, Deception, Edmund Goulding, Fredric March, Ginger Rogers, Gladys Cooper, Greta Garbo, Hal B. Wallis, Hollywood, Irene Dunne, Irving Rapper, Janis Wilson, Joan Crawford, Joel Greenberg, Martha Scott, Max Steiner, Michael Curtiz, Mildred Pierce, Monika Henreid, Norma Shearer, Now Voyager, Olive Higgins Prouty, One Foot in Heaven, Paul Henreid, Stella Dallas, The Gay Sisters, Variety, Warner Bros.. Bookmark the permalink.